If you've never used it, Pocket is a popular app that allows you to save links from several browsers and other applications in an easily-accessible list. Mozilla and Pocket have been working together for a while now, most notably to bring native Pocket integration to Firefox. 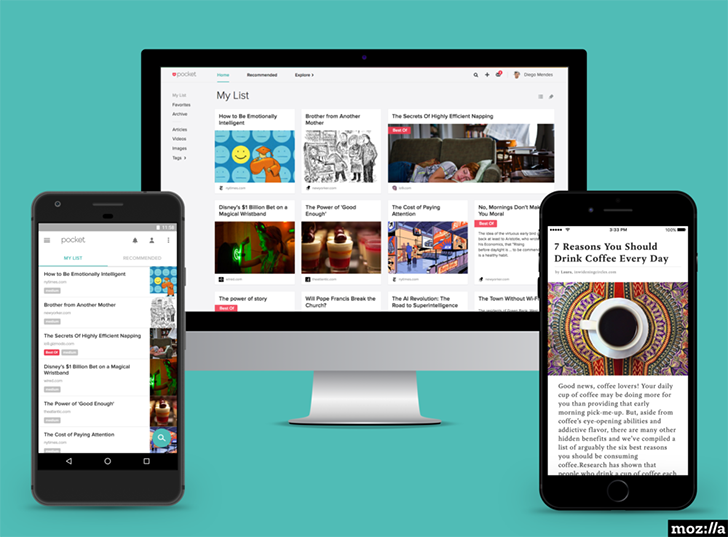 Now Read it Later, Inc., owners of Pocket, will become a wholly owned subsidiary of Mozilla. The acquisition has two main purposes - expanding Mozilla's product portfolio beyond Firefox, and using the Pocket core team to help develop Mozilla's Context Graph initiative. The latter is a recommendations system that Mozilla initially started working on in 2016, which aims to improve how web navigation works based on context. It's unclear what changes Pocket users can expect in the near future. You can find Mozilla's original post at the source link below.